The premier small forward in the competition, Betts earned his third-consecutive All Australian crown in 2017. He topped Adelaide’s goalkicking (55) for a fourth-straight year, and moved into the top 50 goalkickers in VFL/AFL history in the process. One of the game’s great entertainers, the back-to-back Goal of the Year winner was a finalist in the award again in 2017. He also continued to bring teammates into the game, ranking equal-third in the League for goal assists (29) at the end of the season. He also applied more tackles inside forward 50m (45) than any other player. 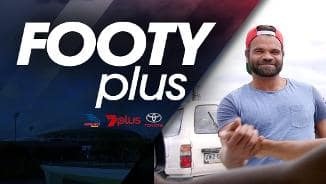 The popular figure was voted the AFL’s Footy Personality of the Year in AFL Media’s Fan Awards. Continues to improve with age. Kicked a career-high 75 goals to claim his third consecutive Leading Goalkicker crown. Betts’ haul was the second-biggest tally by a small forward since Jeff Farmer kicked 76 goals in 2000. The livewire forward continued to bring his teammates into the game, finishing third in the AFL for goal assists (24) and fifth for score assists (33). Dangerous as always with the ball, Betts was equally dangerous without, leading the competition for tackles inside forward 50m (46). Capped off another tremendous year with his second All Australian selection, was runner-up in Adelaide’s Club Champion count and also claimed the Phil Walsh Best Team Man award. Also won his third AFL Goal of the Year title for his remarkable goal against the Giants in Sir Doug Nicholls Indigenous Round. 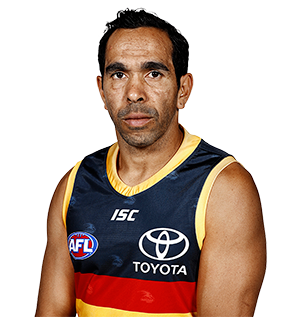 Signed a three-year contract extension keeping him in Crows colours until at least the end of 2020. Backed up an impressive debut season at Adelaide with an even better 2015. Betts finished the year with 63 goals, including 58 in the home and away season to be third in the Coleman Medal. He bagged five in the Club’s thrilling Elimination Final win over the Western Bulldogs. He ranked second in the AFL for scoreboard impact and fifth in the League for forward 50m tackles in the minor round. A three-time nominee (2011, 2012 and 2014), the elusive forward was finally recognised with his first All Australian jacket and also finished third in the Crows Club Champion award. Betts also won his second Goal of the Year crown for his left-foot torpedo from the boundary at Adelaide Oval against Fremantle in Round Nine. Betts played all 22 games in a remarkable first season at Adelaide. 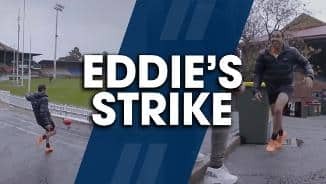 The lively forward kicked 51 goals (ranked eighth in the AFL) to top the Club’s goalkicking and also ranked No.1 in the League for goal assists (29). Defensive pressure remained a feature of his game, ranked third in the AFL for forward 50m tackles. The fan favourite, who played 184 games with Carlton, reached the 200-game milestone against Hawthorn in Round 17. He was included in the All-Australian squad of 40 for Season 2014 and finished top 10 in Adelaide’s Club Champion award. A two-time leading goalkicker at Carlton, Betts joined the Crows as a Free Agent at the end of 2013. The exciting small forward played 184 games for the Blues, establishing himself as one of the premier small forwards in the AFL. He topped the Club’s goalkicking in 2010 and 2012, averaging 42 goals a season since 2009. 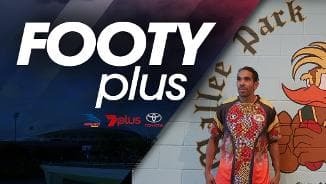 Ranked No.1 in the AFL for score assists and forward 50m tackles in the last five years, Betts will add scoring power and defensive pressure to Adelaide’s attack.